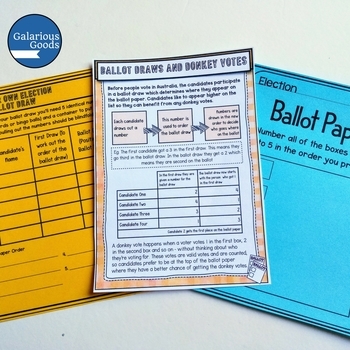 Run your own election in the classroom with this preferential voting election kit. 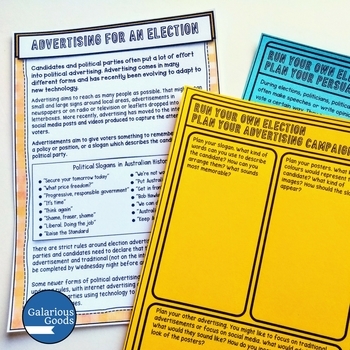 Students choose an election topic, advertise, learn about ballot draws and how-to-vote cards, set up an election environment, vote and learn how to count the votes. A perfect way to create a learning experience which mirrors real life events. This resource is also part of the Elections in Australia Complete Bundle! 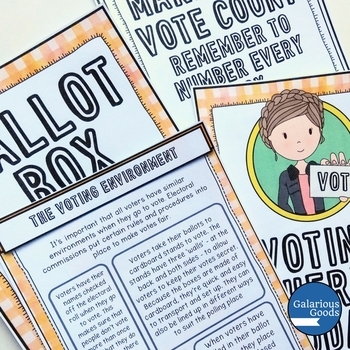 Get 6 Elections in Australia classroom resources at one discounted price! 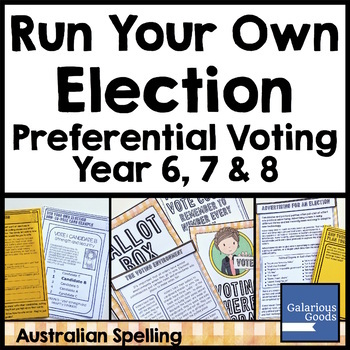 This resource has been produced with Australian spelling on A4 size paper. It is a PDF file, 38 pages long.